Mexico missing students: Mayor, wife suspected. 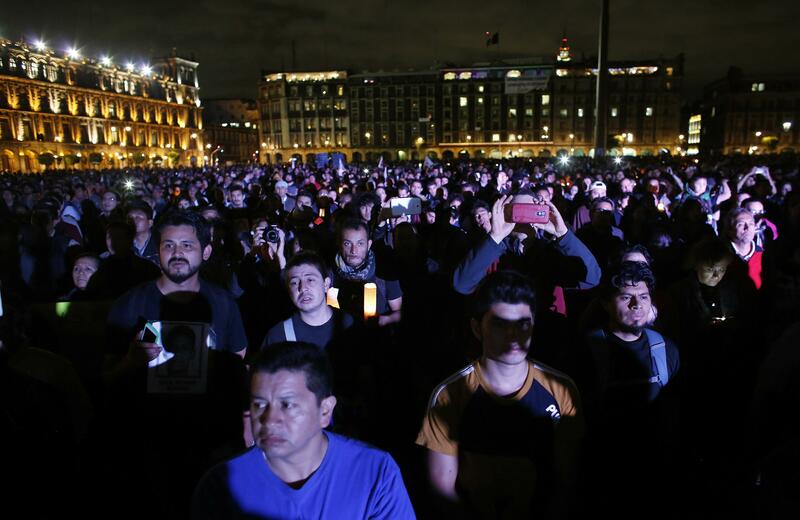 Demonstrators listen to the father of one of the missing students at a protest in Mexico City. On Wednesday, Mexico’s attorney general said an arrest warrant has been issued for Mayor Jose Luis Abarca and his wife, Maria de los Angeles Pineda. Jesus Murillo Karam, the country’s top prosecutor, also named the mayor’s wife as the “principal operator” of the trafficking group known as the Guerreros Unidos, and that she together with her husband ran the group’s illegal activities right out of Iguala’s City Hall. The students were apparently headed toward Iguala when they were intercepted and attacked by police acting on the instructions of the mayor; six students were killed outright, and 43 are still missing. It’s still unclear exactly why the traffickers felt these students—who were protesting education reforms and trying to raise money—were a threat, although Mexican student movements’ traditionally leftist, democratic politics certainly don’t align with the kind of quasi-military narco-oligarchy that the cartels prefer. The mayor and his wife have not been located and are considered fugitives.